Marta Azparren (Tenerife, 1968), Graduate in Fine Arts, shares out her artistic activity between video, visual and performing arts. Her video works had been screened and awarded in numerous international film and video festivals, exhibitions and art fairs. Her work usually focuses on a reflection on the artistic activity, with an attentive look at the ties between creator, spectator and object, and its mediators. Closely linked to performing arts and music, she often collaborates in these areas as a performer and video artist. Her drawings establish a dialogue with the works of poets such as José Luis Gómez-Toré, Eva Chinchilla, Juan Soros or Ana Gorría. José Luis Gómez Toré (Madrid, 1973) is a Spanish poet, playwright and essayist. He has written several poetry books like He heredado la noche (I inherited the night) (2003), Fragmentos de un cantar de gesta (Fragments of an epic poem) (2007) and, in collaboration with the artist Marta Azparren, Claroscuro del bosque (Chiaroscuro of the Forest) (2011). He has also published studies about literature like La mirada elegíaca. El espacio y la mirada en la poesía de Francisco Brines (The elegiac look. The space and memory in the poetry of Francisco Brines) (2002) (Gerardo Diego International Prize for Literary Research) and Pedro Salinas (2009). I began recording my own painting and drawing sessions. For me, filming was a way to add time to paintings, a way to extend the process of painting. Gradually, filming grew independent from painting and I started thinking in terms of moving image. 3. How do you develop your films, do you follow certain principles, styles etc.? In my practice, concept always comes first; then I choose the medium that fits my needs. Sometimes I need to work with static images, sometimes I need to include time, or living performance… There is an “economy of elements” that is key to my work” – as a principle, I try to work with as few elements as possible. 4. What was the reason to start your film included in Shoah Film Collection? Tell me the story behind your film? Why did you choose the given form of representation? Is your film included in Shoah Film Collection the first one dealing with the Holocaust? 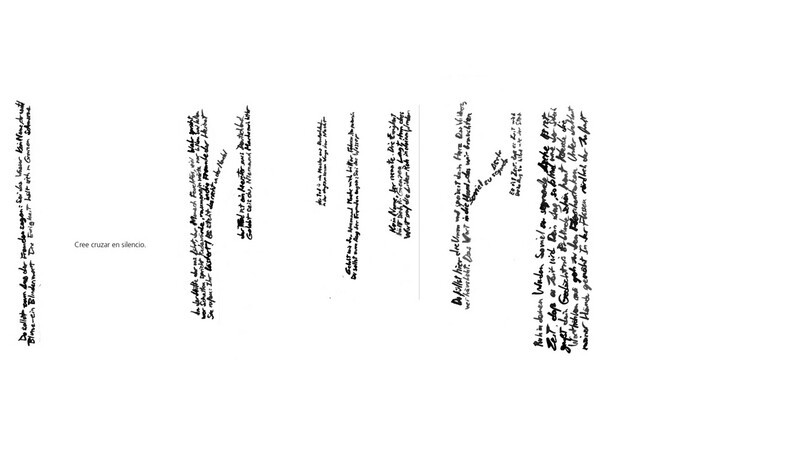 We made a book together “Claroscuro del bosque” (Chiaroscuro of the Forest) that was a dialogue between poems and drawings regarding the enigmatic conversations between Paul Celan – the Jewish poet, victim of the Holocaust- and Martin Heidegger – the German philosopher linked to Nazism. This encounter took place in 1967, in the Black Forest, in the cabin where the philosopher wrote most of his works. Our film included in SFC “Towards Todtnauberg” is a new approach to the same subject that adds movement to the images and voices to the texts. Auschwitz is a symbol of the atrocities we as a society are capable of; it’s the negation of all human rights. As Primo Levi said, the Nazis were not monsters, but humans. Auschwitz reminds us that something like that could be possible again, anywhere; that those monstrosities can happen again. However, it’s important to say that Auschwitz can’t be seen as “the only Crime” committed. 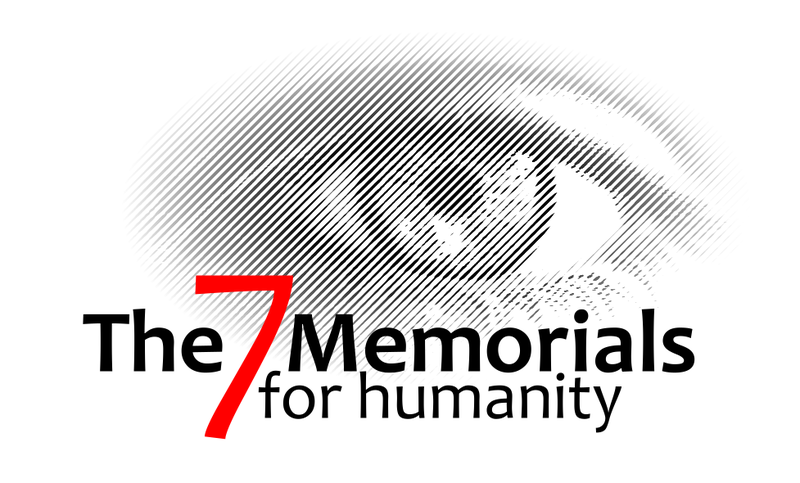 It would be a terrible mistake to use the memory of Auschwitz to forget other crimes against Humanity committed in the past and nowadays. Bruno Bettelheim, who was a prisoner in Dachau and Buchenwald, talks about “the well-informed heart”. Emotions are important, but we must avoid the risk of excessive sentimentality. This is why art has an important duty: art help us to connect reason and emotions. Perhaps it would be better if we were able to read Auschwitz in connection with the violence and the crimes of the present, not only as a fact of the past. Jacques Rancière has said that art after Auschwitz is more necessary than ever because art is obliged to explore the limits of the representation and go beyond these limits. For that reason, works of art are ways to show what documents cannot say. The Holocaust is the crime against Humanity that more literature, films and all kinds of artworks has inspired and yet, when the call for entries of SFC was done they found that many participants did not know what the word “Shoah” meant. So there is a lot of work to do… New technologies can help in terms of interaction or audience participation (I am thinking for example of interactive art, game video art, net-art, artistic use of social networks…) but perhaps the first concern should be to recover that empathy inspired by the pain of the Other. José Luis has just written another essay dealing with the Holocaust “El roble de Goethe en Buchenwald. Glosas en torno a un texto de Joseph Roth” (Goethe’s Oak in Buchenwald. Glosses about a text of Joseph Roth.) an essay about the limits of art and the relationship between culture and barbarism. 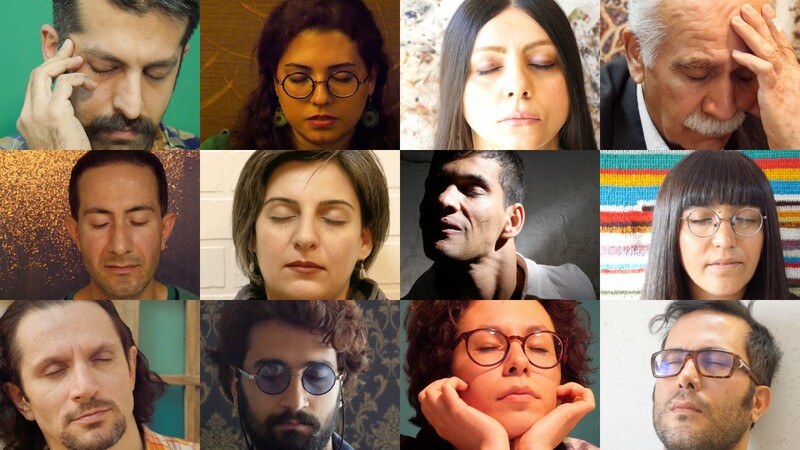 I’m working on a video-installation “The blind artist”, video portraits of Iranian contemporary artist, with their eyes closed depicting the inner moment when they create their images, when every image is possible, without any restriction.